In her essay on the meaning of leisure, Washington Post editor Christine Emba notes that Uber recently announced that it would debut self-driving cars in Pittsburgh later this fall. 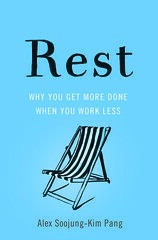 This, she argues, marks another step toward a more-automated world, and underlines our need to think more clearly about the problem of leisure. As automation reduces the number of hours we need to work, we’ll need to be wise about how we spend that time. But there are very different ways automation could affect leisure, and we can’t talk about “automation” without talking about who controls and benefits from automation. Let’s use the Uber situation to imagine two very different scenarios. A tiny bit of background: What Uber is doing is retrofitting a bunch of Volvo SUVs with sensors, cameras, lidar, and computers that will drive the car (though a human will still be in the front seat as backup). So they’re not making self-driving cars; they’re making existing cars self-driving. This is a crucial distinction, because it means this technology could be deployed in two very different ways. In one scenario, Uber uses the technology itself to automate its own fleet of self-driving cars. In Pittsburgh, the cars prove a success (and if you can imagine any company making the argument that too few people were run over to stop deployment, it’s Uber), and the technology spreads to others cities. A year from now, Travis proudly stands up at the annual meeting and announces that 50,000 people who used to be contractors for Uber are now back on the streets. They were shock troopers in the greatest high-tech disruptions of a service industry in modern history, and now we’ve been able to cast them on the ash-heap of history. Suckers! In the other scenario, though, Uber sells the self-driving car kits to anyone who wants to drive for Uber. (Once again, the number of kittens and grandmas who get run over during the trials is considered to be within acceptable parameters.) A year from now, Travis proudly stands up at the annual meeting and announces that 50,000 people who had been driving for Uber are now in the robotics business: they buy cars, outfit them with self-driving car kits, and lease them back to Uber. These people have gone from being mere drivers, to being managers, small businessmen, entrepreneurs, etc. ; they continue to work with Uber to push the boundaries of innovation blah blah blah; and Uber benefits from all this technology without having to buy a single damn car. It’s as if Henry Ford’s autoworkers had built their own factory lines, using their money rather than Ford’s. See how they’re different? In one sense the outcome is the same: the workers drive fewer hours. But there’s a dramatic difference between being thrown out of work by the technology, and being in the robot business. In his “In Praise of Idleness,” Bertrand Russell wrote about how automation was being unevenly applied, and that capitalists preferred to create “overwork for some and starvation for others,” rather than a world in which we all worked fewer hours and let the machines take care of the rest. This is a problem we face again; only with these technologies, we have a better shot at spreading around ownership in ways that enhance rather than degrade the living standards and livelihoods of workers.